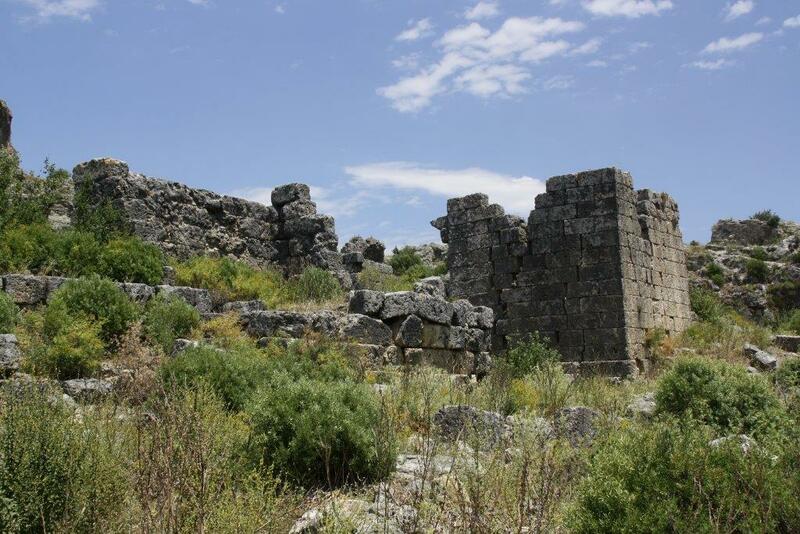 The ruins of the ancient city of Sillyon, located near Antalya, constitute an important proof that one should not delay visiting the historical monuments. You never know if in a few years they will still exist, undamaged by the passage of time. 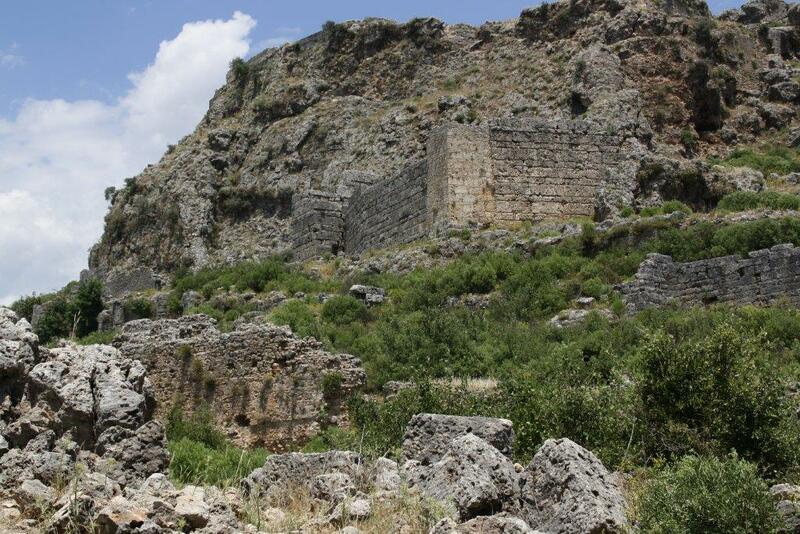 In the case of Sillyon, the serious damage to ancient buildings was caused by a landslide in 1969. 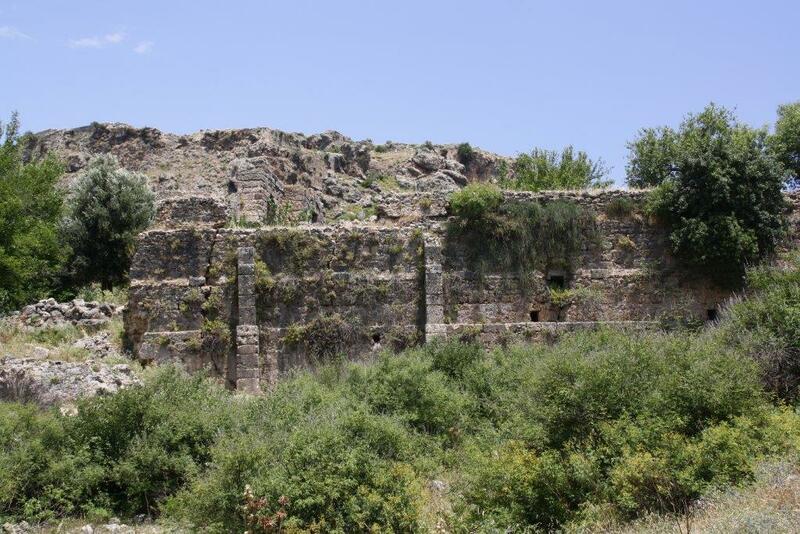 The preserved remains of the city are located on a hill rising to a height of 210 meters above the alluvial plain formed by the river Aksu, in ancient times known as Kestros. 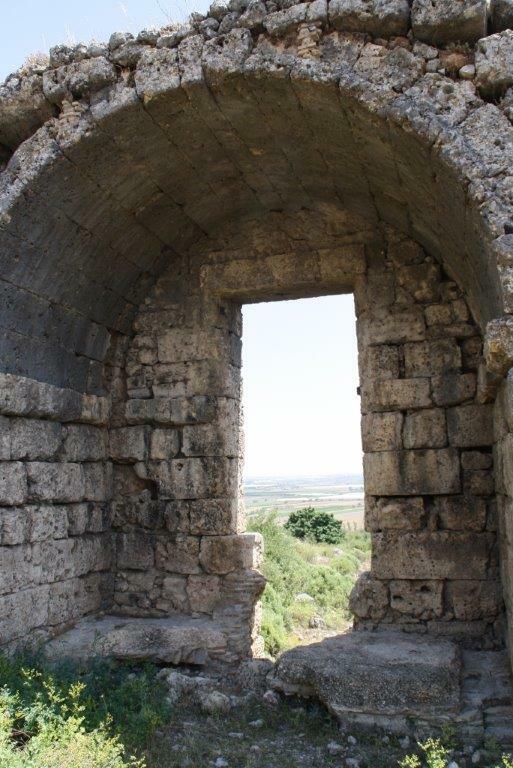 Even from a distance you can see the outlines of fortifications, which could not by conquested even by Alexander the Great. The beginnings of Sillyon are lost in the mists of history, as evidenced by the name of the settlement. Some scholars trace its origins all the way to the Hittite word Sallawassi, while others refer to a Greek name Sylleion or a Byzantine one - Syllaeum. Even the legends of the city's founding give two versions of events. 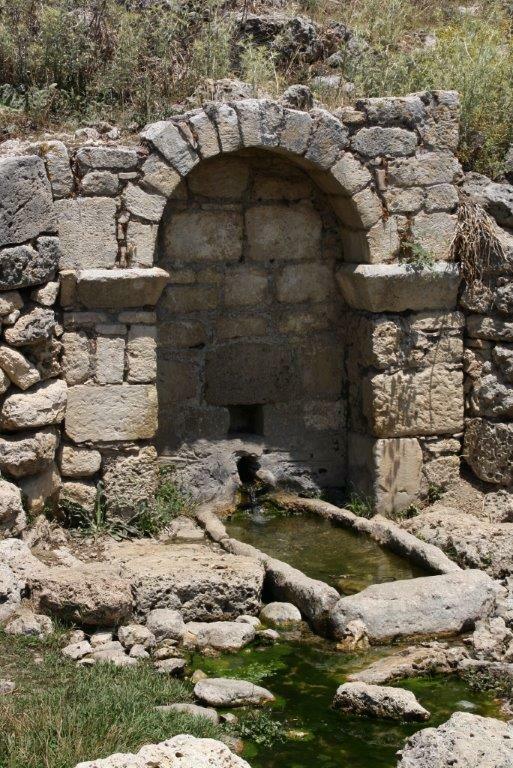 According to the first of them Sillyon was founded by the settlers from Argos in the Peloponnese, and according to the second one - the city was founded right after the Trojan War, by three poets: Mopsos, Calchas and Amfilochos, who were also responsible for the foundation of Side and Aspendos. 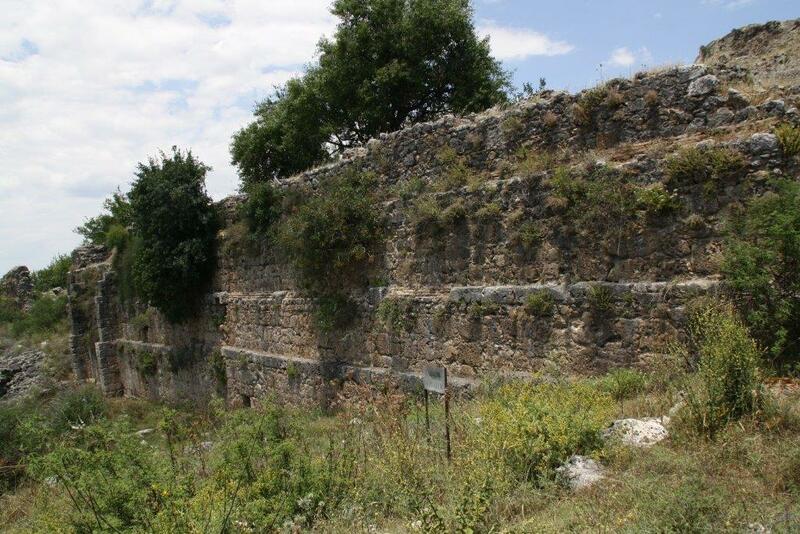 The first historical records of Sillyon come from the early 5th century BC, the city also appears in lists of the Delian League, as a member paying symmachikos phoros ("allied tax"). After 425 BC Sillyon disappeared from historical records for a hundred years only to reappear in 333 BC. Then it successfully repelled the army of Alexander of Macedon, because of its imposing fortifications and an army of mercenaries. In the Byzantine era Sillyon was a city of relative importance - two ecumenical Patriarchs of Constantinople were born there: Constantine II and Anthony I. In the vicinity of the city, in 678 AD, the storm destroyed the Arab fleet, which was withdrawing after failing to conquer Constantinople. As a fortified city it was the seat of the imperial representative (ie. ek prosōpou) and from the city began a great road connecting the coast of the Mediterranean Sea to Amorium and Nicaea (now İznik) with Constantinople. 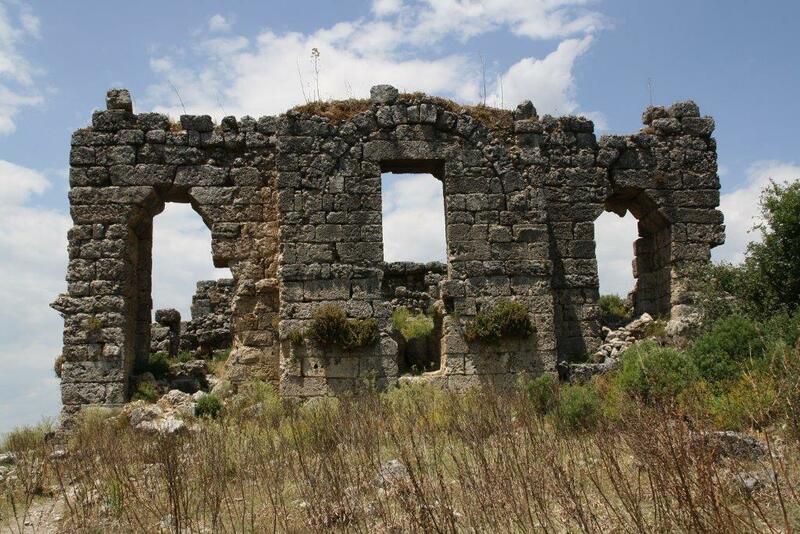 At the turn of the 8th and 9th centuries Sillyon became the main city of the region, overshadowing nearby Perge that had lost the status of the bishopric in favour of Sillyon. 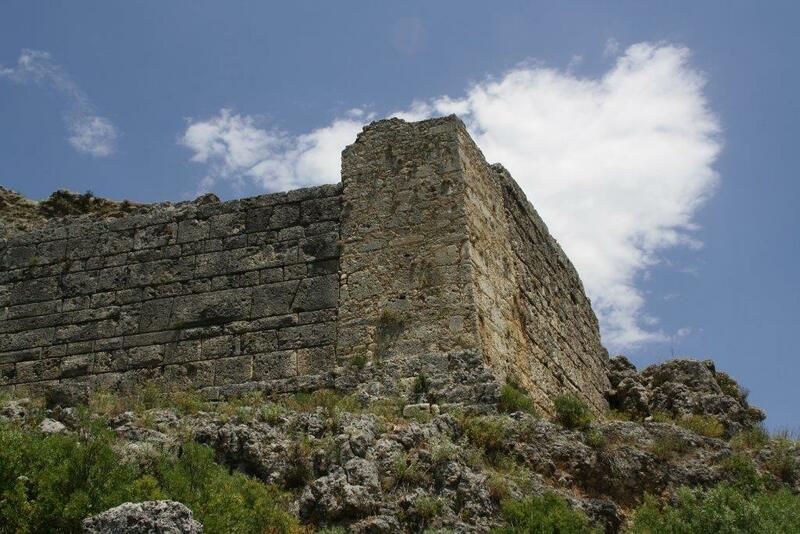 Despite the powerful fortifications, the city, along with the entire region of Pamphylia, was conquered by the Seljuks in 1207. 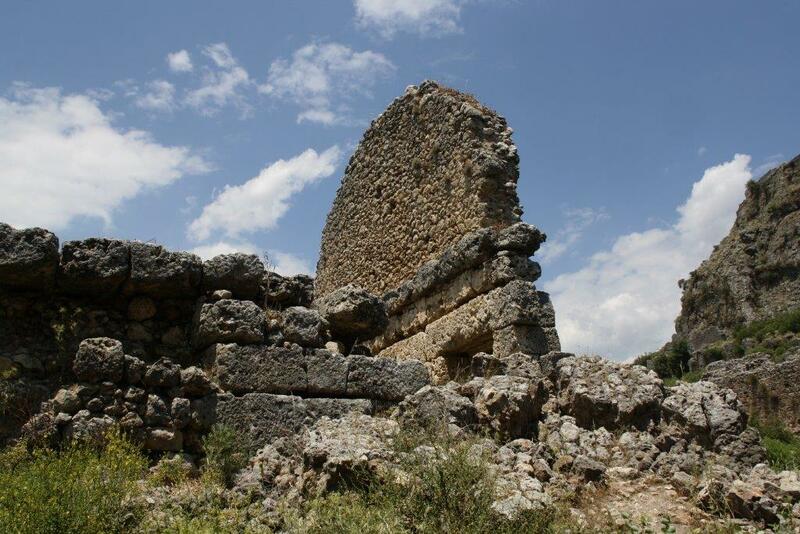 The existence of the ruins of the ancient city Sillyon was not a secret for European travelers. The first photographs of the city were made in the 60s of the 19th century by a French explorer and orientalist Pierre Trémaux. Polish researcher - Karol Lanckoroński - during his expedition in the areas of Pamphylia and Pisidia visited Sillyon, and later published its description along with sketches and the plan of the city in his famous work "The Cities of Pamphylia and Pisidia". Despite the interest that the ruins of Sillyon inspired in the 19th century, since the visit of Karol Lanckoroński to this day the city has not become an object of systematic archaeological excavations. The inventory of old buildings, prepared by Lanckoroński, is now of a huge significance as in 1969 a landslide destroyed the theater and the odeon. Moreover, in the area of an ancient stadium, modern houses were built in the 20th century. Irreversible destruction of ancient buildings is a tremendous loss for researchers and a proof that nothing lasts forever, even the buildings that were standing in good condition for nearly two thousand years. 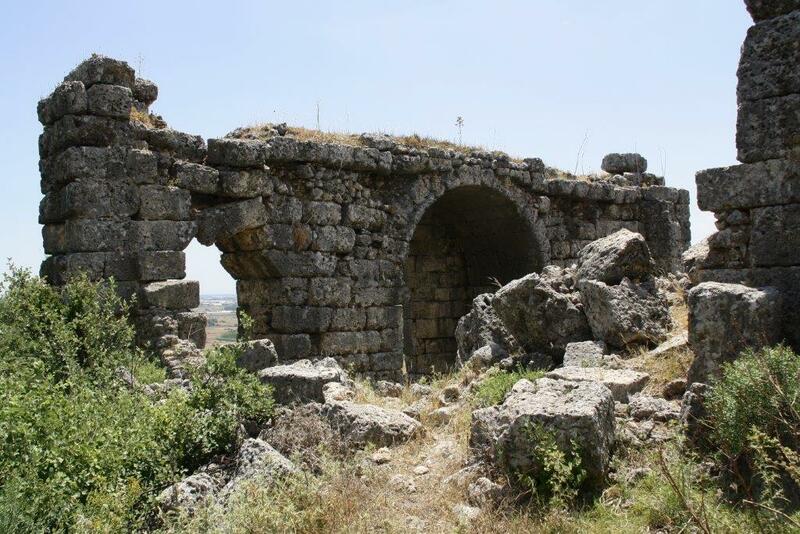 The ruins of Sillyon, visible on the hill, are dated to Hellenistic, Roman and Byzantine periods. 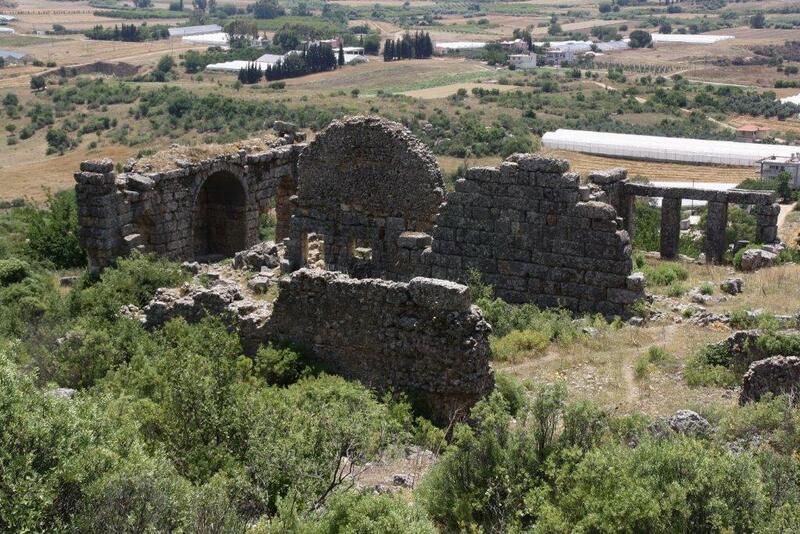 There are also two mosques, built after the occupation of Pamphylia by the Seljuks, in the 13th century. 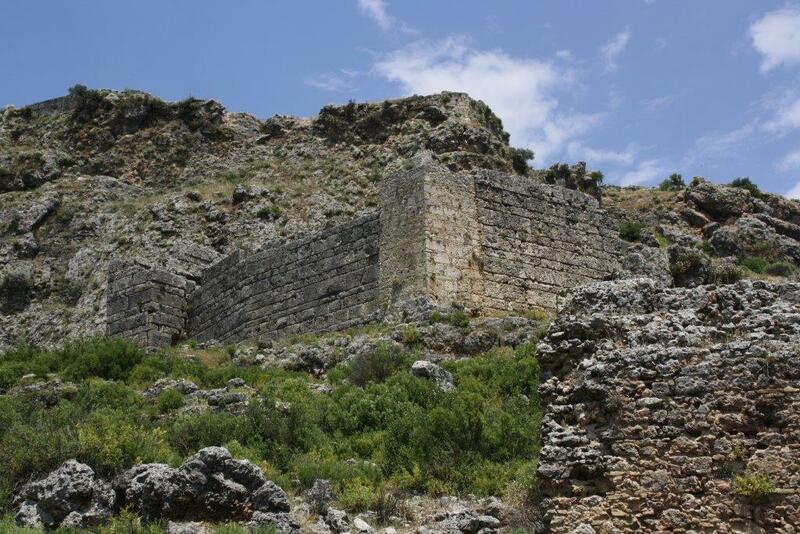 Because Sillyon is situated on a hill, the greatest line of fortifications is located on the western side of the city, where the slope is not as steep as on the other sides. Approaching the town by the path one passes the remains of the stadium and arrives to the so-called Lower Gate, similar in design to the gate of Perge. Nearby stand the remains of a gymnasium. A 5-meter wide ramp city leads into the city. In ancient times this ramp enabled the wagons with goods to enter Sillyon. At the southern end of town there are the remains of a theater, although after the landslide only the upper rows of seats remained. However, no trace is left from the nearby odeon. Going further on you reach the residential area of ​​the city and can enjoy great views to the south where a wide plain stretches all the way to the Mediterranean coast. In this district there are preserved walls of an ancient temple, decorated on its eastern side by four pillars. 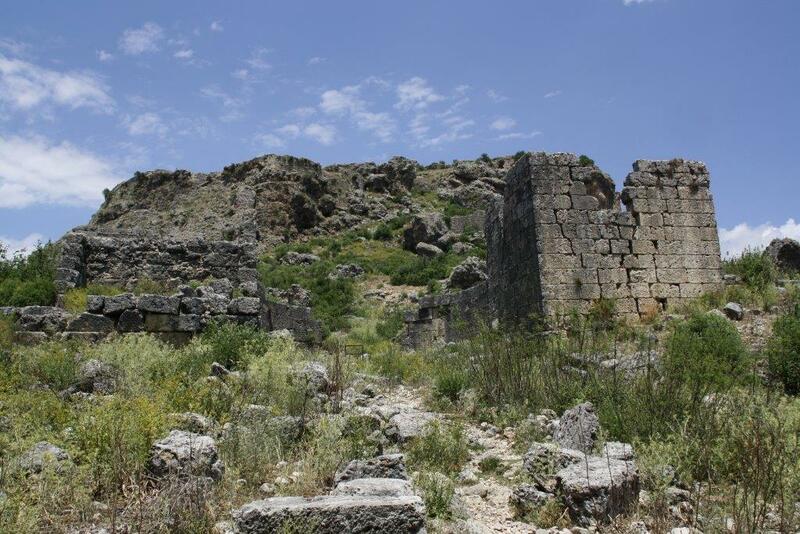 The center of Sillyon, where there are remains of the oldest buildings in the city, is located on the eastern side. 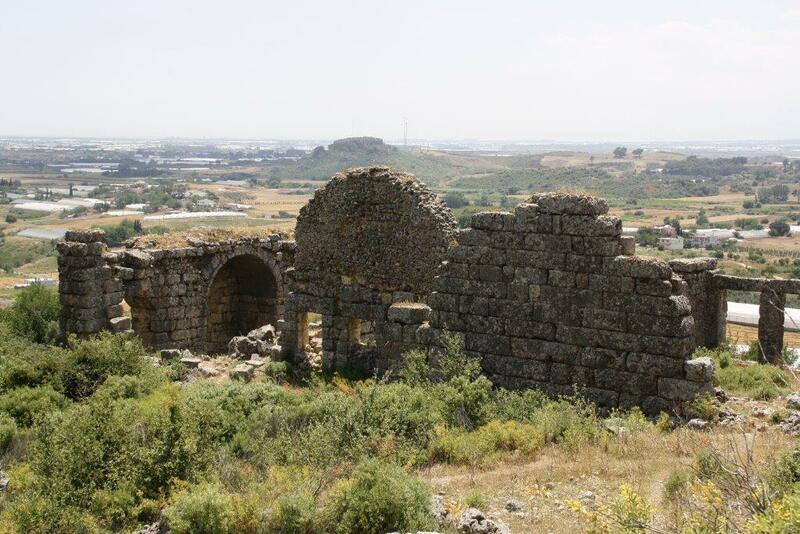 Here you can also spot the ruins of a large building from the Byzantine period, which probably served as the palaestra, and several buildings from the Hellenistic times. Admission to Sillyon ruins is free of charge. During the tour watch your step because of the steep slopes of the hill. By car: you need a car to get to Sillyon. 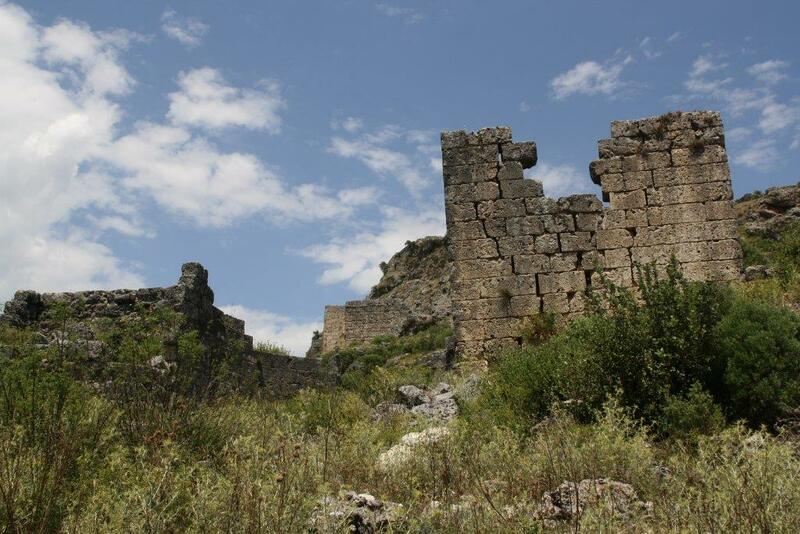 If you are coming from Antalya, take D400 road in the direction of Manavgat and Alanya. After 20 kilometers, take a side road to the north, as indicated by a brown signpost. The distance from this junction to Sillyon is 11 km. 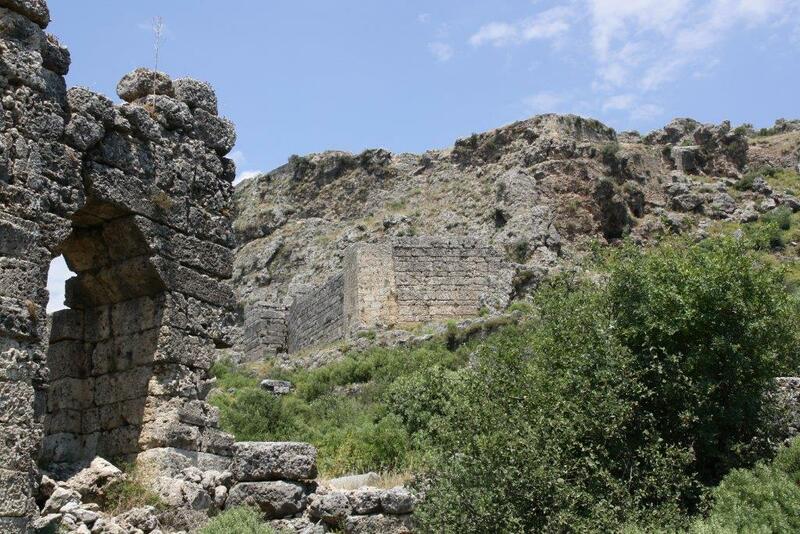 The road leads first to the north, through Abdurrahmanlar village, and then to the east, to Asar Köy village. The hill with the ruins of Sillyon is clearly visible from the access road.